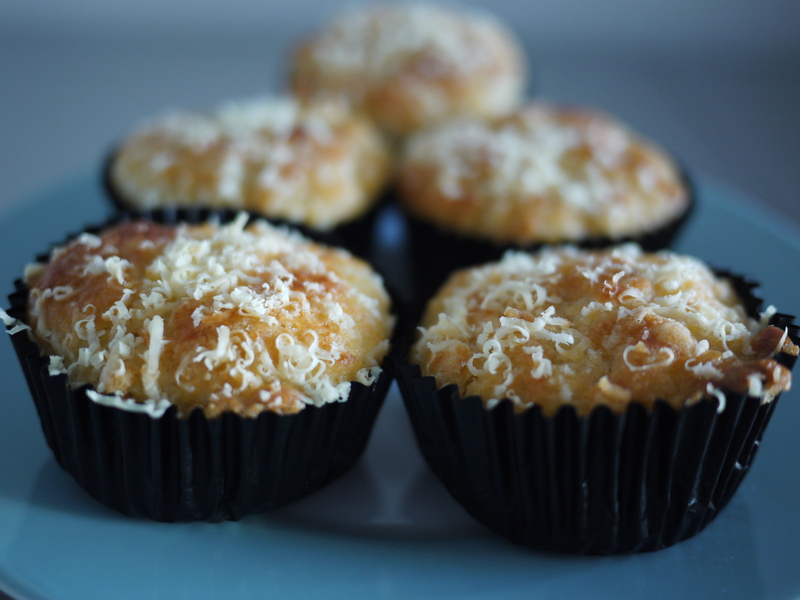 This is one childhood food many of us would reminisce about. ngoh hiam is a traditional craft of minced pork mixed with chestnuts, prawns and other species, wrapped in beancurd skin, steamed and then deep fried. Simple as it sounds, a good ngoh hiam always needs alot of work’, and I guess that’s why most of us can only reminisce now, our modern lifestyles and kitchens are not always fitted for this kind of food. Anyways. Sorry, no recipes now, my mum always say ‘very easy lah! where got recipes?’ for all her food. 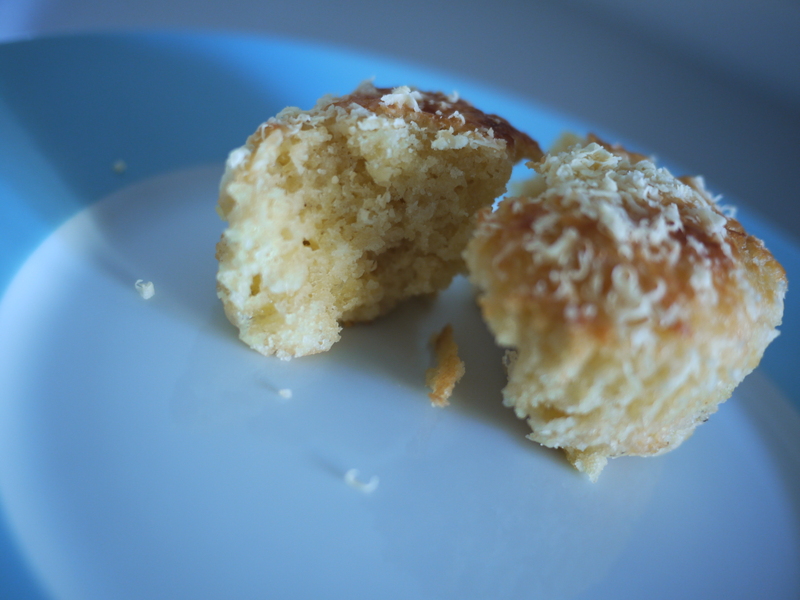 This entry was posted in Cook and tagged ngoh hiam, tradition on August 28, 2011 by three3seconds. Speaking of Jamie Oliver in my last post, don’t we all get jealous that he has a backyard full of plump and fresh produce? Food stuff like vegetables are never out of supply. Ok, I know its TV. But, I’m still jealous. 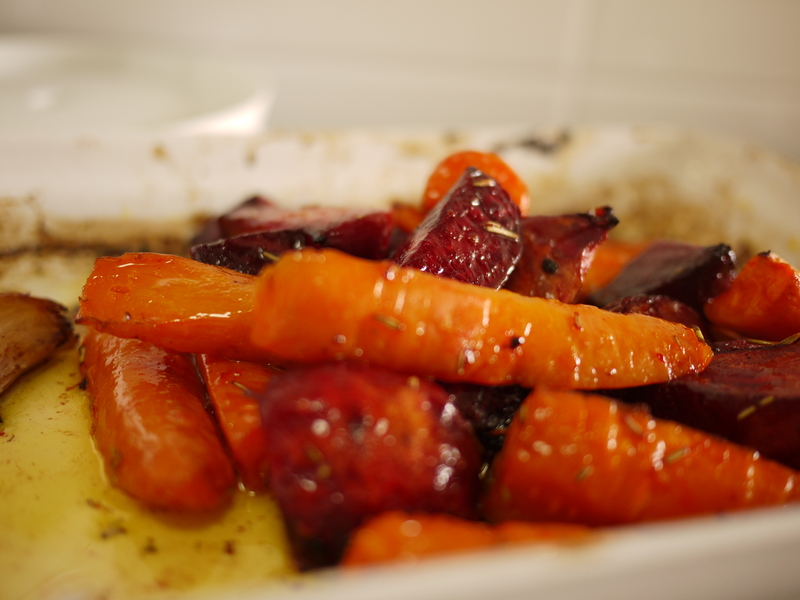 I love love love the baked carrots and beetroots. such a happy sight to see the colors all popping out. And the pasta. Bacon. enough said. 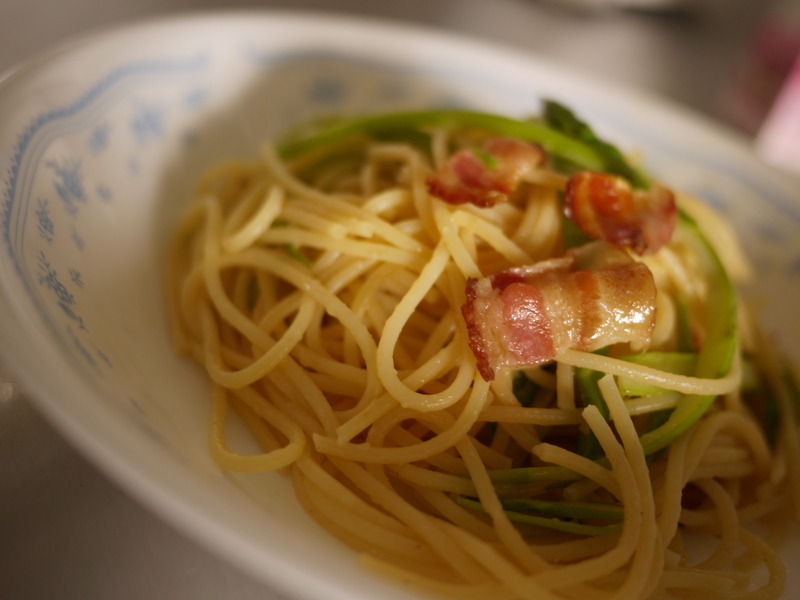 This entry was posted in Bake, Cook and tagged asparagus, bacon, pasta on August 13, 2011 by three3seconds. My mum and zzz watch the same types of TV shows. That’s cooking shows with celebrity chefs like Jamie Oliver and Nigella Lawson on Food Network, Asian Food Channel and TLC. Anyways. 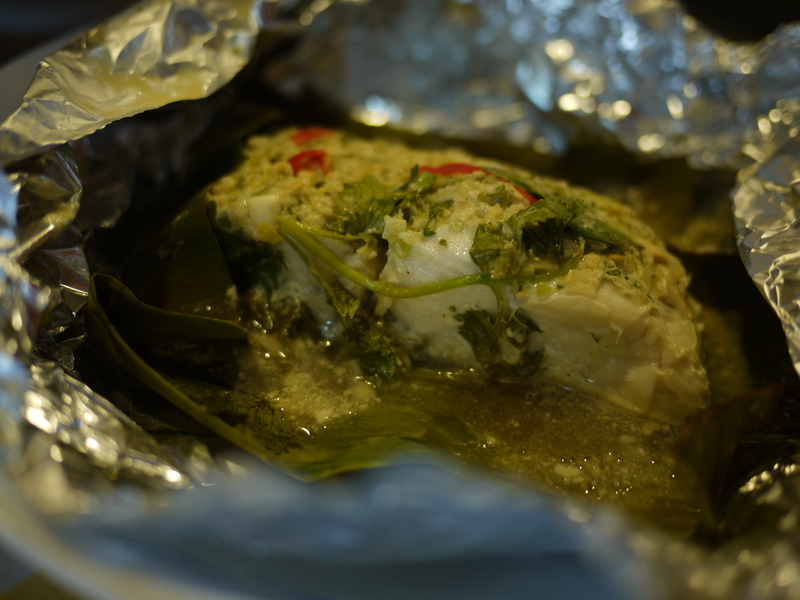 Both of them decided on a Thai theme after watching Jamie Oliver whipping up in his usual effortless way, a baked fish in Thai sauce. Needless to say, the other dishes for the dinner had to follow. Thai food is always a good choice. 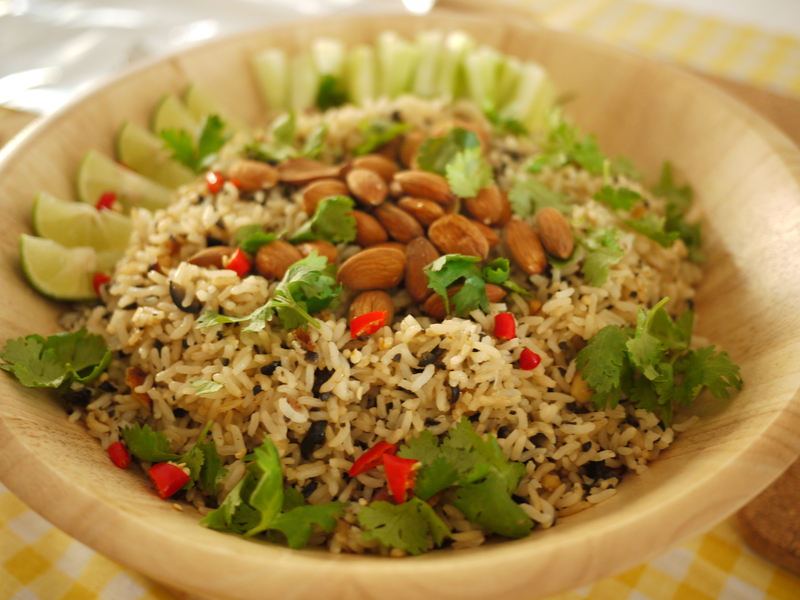 The sweet, sour, tangy, spiciness going merry-go-round in your taste buds, the warm fuzzy soup and Thai fragrant rice as accompaniment. Hmm. 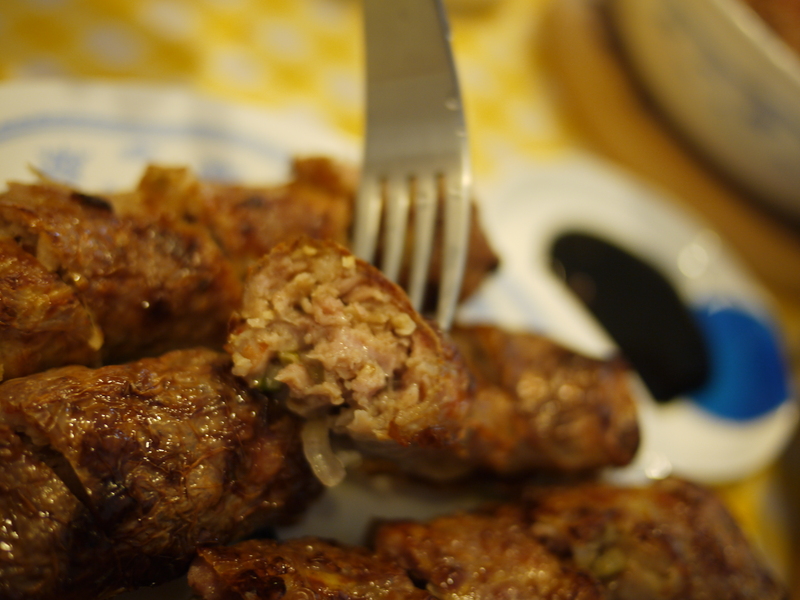 And the result was simply delicious. The fish turned out fresh, succulent (although zzz went abit overboard to buy the expensive fish at $40++, which led to a happy uncle and aunties chuckling – 烤不用买那么贵得鱼！！ – no need to buy such expensive fish that’s used for baking!）The olive fried rice was easy to make and most importantly (because i made it), the tom yam goong was a breeze. 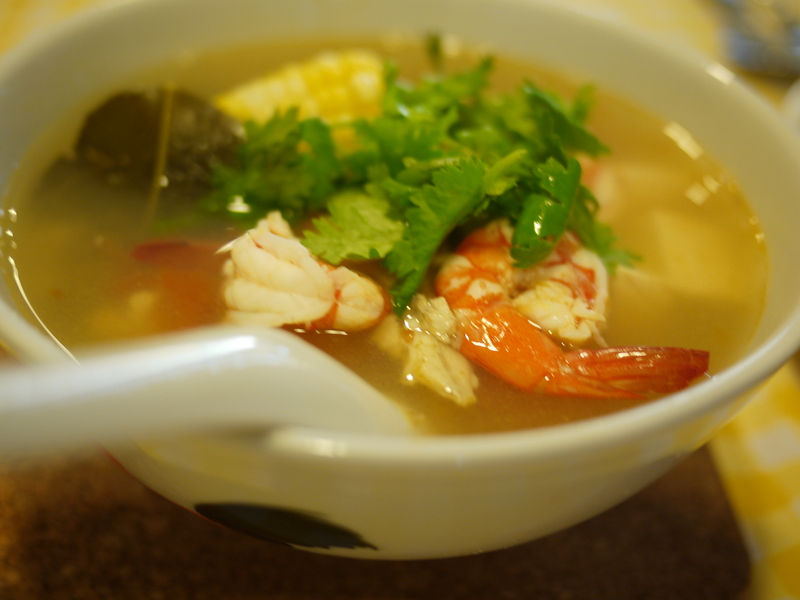 No need for tom yam paste, basic ingredients like fresh prawns, lemongrass, galangal (which looks like young ginger), kaffir lime or lemon leaves and lemon juice did the trick. erm. Sorry, no recipes. Lazy me but can’t really get the recipes from zzz now. he is busy baking a nutella tart of tonight’s dinner (friend’s mum is going to cook authentic Sri Lankan food for us!! – wohoo!). 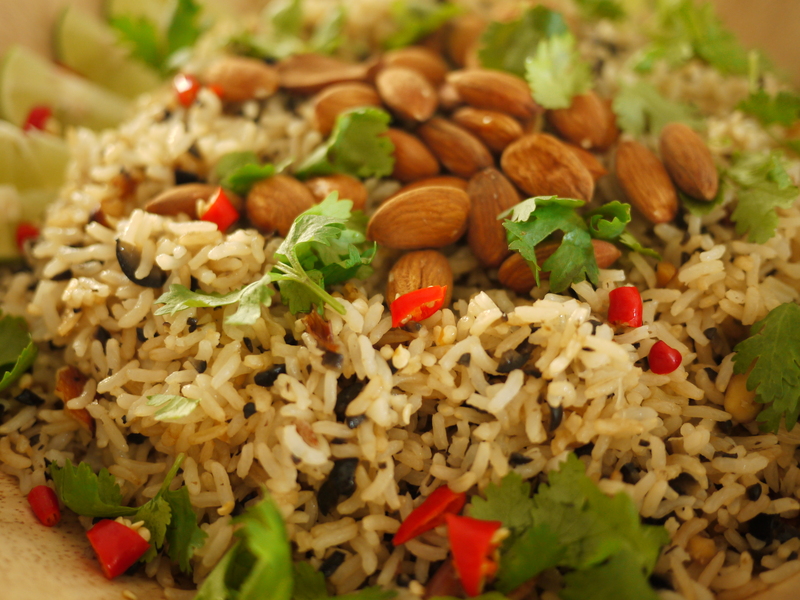 This entry was posted in Cook and tagged fish, Fried rice, Olive, Thai, Tom Yam on August 13, 2011 by three3seconds.